Looking for some DIY Halloween costume inspiration? Do you get into Halloween? Any of you making your own costumes? What are you fabulous ladies going to be!? What great costumes! I wish I was more creative with my Halloween costumes, but I am totally that person who would walk around wearing a "this is my constume" tee if I could, hehe! i think the last time i dressed up i went as scarlet o'hara! Love this! :) I LOVE Halloween and I am making one of my costumes this year and I just made a zombie flapper costume! This is too good! Love it! 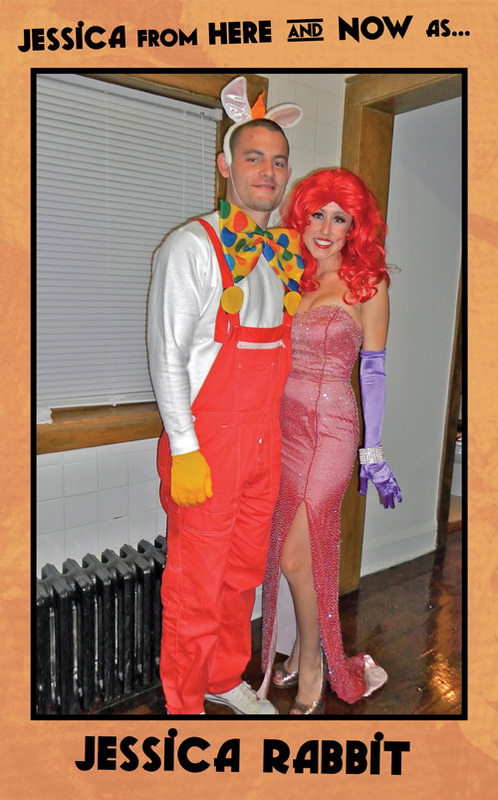 that is such a great costume idea - even better that you have the 'couples' version. Do have a look at my blog too sometime. I love it!! You guys are so much more creative than me! Wow! You guys went all out! You look great! Great costume! I used to get into Halloween, but I have been at a loss for ideas these past couple years. One year my boyfriend and I went as Tiger Woods and Elin. I carried a golf club and he wore golf apparel and had a black eye, that was one of our good costumes! You guys look great! Love that red hair!